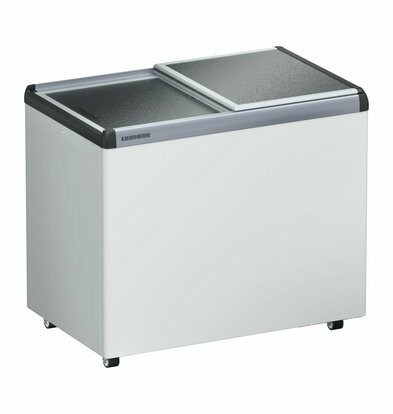 Leave it to Liebherr on to think about all the ergonomic aspects involved in the design of cooling boxes. Nothing is easier than mount four wheels under the freezer, but you should just briefly come. What if the box is full and you want him here just put in a different place? 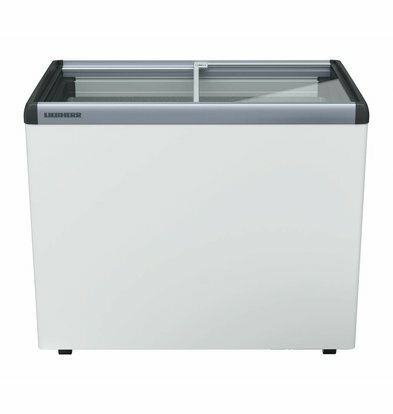 The 282 liters of white coolbox with glass lid from Liebherr offers a number of handy features such as adjustable temperature, a sliding lid and a remarkably fresh housing made ​​of tempered glass. A clean and modern design that fits into any interior. 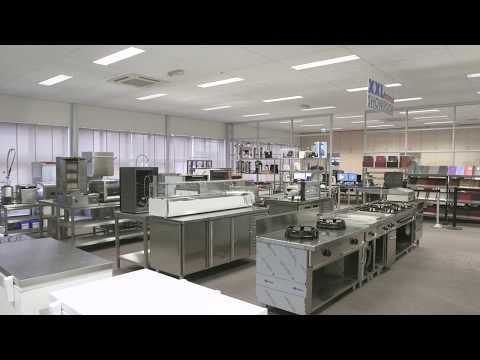 Liebherr freezer cabinets come standard with 5 year guarantee on key components. Additionally you will receive 15% XXLhoreca standard discount if you order these cool boxes at our webshop. For questions about our cool boxes, please contact our customer service 075-6151433 or mail to info@xxlhoreca.com.